No one would argue that living a long time after receiving an HIV diagnosis is a good thing. By the year 2015, more than 50 percent of Americans living with HIV will be older than 50. As the availability of anti-iretroviral medications continues to expand, the rest of the world will not be far behind. But researchers are only beginning to understand how HIV and its treatment affects those living with HIV as they age. Not that HIV hasn’t always been a complicated disease for patients and their doctors to manage. According to a study released Thursday, among people over age 45, those with HIV are more likely to have more chronic diseases, such as high blood pressure, diabetes and cancer. “Longer duration of being HIV-infected or exposed to [anti-retroviral therapy] were also associated with a higher prevalence of these chronic diseases,” said Dr. Judith Schouten of the Academic Medical Center in Amsterdam and lead author of the study. Further, these diseases tended to occur five years earlier among patients with HIV than among those without HIV. 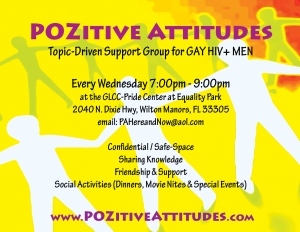 The topic this Wednesday is the Cure or a Vaccine for HIV/AIDS. What are some leading candidates? What does a cure or vaccine mean? What is being reported and how to read the reports. If you have information on cures or vaccines, bring them to meeting to discuss . Medical researchers in Spain say an experimental vaccine against HIV, the virus that causes AIDS, has produced a 90 percent immune response among a small group of healthy human test subjects. The promising results pave the way for further clinical trials on HIV-infected volunteers. An experimental vaccine developed by a Johnson & Johnson unit and the U.S. military protected monkeys against an animal version of the AIDS virus, a study found. Monkeys that got the vaccine were as much as 83 percent less likely than those that got a dummy shot to become infected with simian immunodeficiency virus. 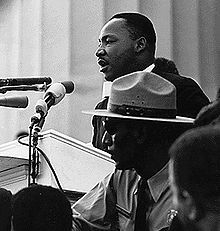 Today Monday, 01-16-2012 is Martin Luther King Day. On August 28, 1963, MLK delivered one of the great speeches in American history, the I Have a Dream speech. The topic this Wednesday is that speech. How does that speech affect you? Are his dreams relevant to us as Gay men and HIV positive Gay men? What is “your dream”? Is it to achieve marriage equality or to cure HIV or is to win the lottery. Each person will be given a piece of paper to write down their dream and we will read them anonomously. This will allow people to be totally honest and reflect and what their dream is. Should be an interesting and lively conversation. Come join us and bring your dream.